We’d like to get to know you! 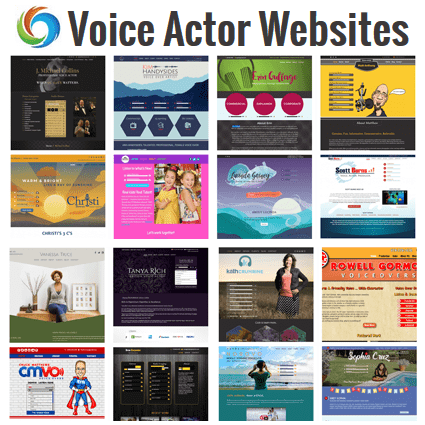 Voice Actor Websites, is the crossroads where design and development come together. The collaborative skills of our team bring voiceover brands to life in a fast-paced digital world, and we do it with the style & functionality you’re looking for. Joe Davis has over 18 years of experience working in digital marketing and web development and has spent the last 8 years focused on the world of voice over thanks to his good friend (The Home Studio Master) Dan Lenard. During that time, he has developed numerous websites, internet platforms and marketing plans for voice actors, agents, voice over businesses, and other VO professionals. He loves helping entrepreneurs shape and develop their ideas into viable businesses. This includes the entire process, from conceptualization all the way through to implementation. His areas of expertise include Web Design, Search Engine Optimization, Pay-Per-Click Advertising, Voice Over, Business Strategy and Dance Instruction (yes really – Salsa, Swing, Merengue and more…). She’s passionate about making sure everything is working optimally and is involved from the initial inquiry, talking to you about your vision and brand, through the design, implementation and launch of the site to its regular upkeep, code tweaking and any upgrades or additions you want to make to it. Brian has a passion for art and has made it a personal mission to study it and understand the form, flow and psychology behind it. He has a degree in Computer Science with a concentration in Computer Animation from Full Sail University. His hobbies include travel, technology and gaming. Brian’s love for gaming, makes working in the voice over industry even more rewarding. Now he gets to speak with the voice actors that have voiced characters for the various games he has played over the years. Bringing together art and technology is where Brian is happiest, and designing for voice actors gives him that opportunity on a daily basis! Jay is a professional graphic designer with an easygoing style. His goal is to get you excited about the design process and thrilled with the result. He creates graphics, layouts and animations based on your unique ideas and style. Your brand is important to you, and that’s why Jay makes sure your aesthetics reflect who you are and what you do. It’s important to set yourself apart in the crowded world of voice over, and that is exactly what Jay’s voice over designs do. Jay has a B.A. in Computer Animation and has been animating for over 15 years, starting with animated gifs and flipbooks mainly consisting of stick figures and progressively getting more and more advanced. He has experience in film, print, web, and video games and is always interested in new formats and ideas to try. Alex is a trained educator with an eye for design. His background enables him to see and share ideas from different points of view. He’s also a multi-faceted, bilingual project manager with years of experience in graphic and web design. From design mockup to coding, from quality control to launching, he enjoys bringing your ideas to life in a way that conveys your message as a voice talent. Count on him to articulate your needs, vision, and deadlines to the rest of our team. An avid world traveler, Alex has an appreciation for culture and food. Though he has visited many beautiful places, from Hawaii to South Africa, his heart always brings him back to his native Puerto Rico. This is where he gets his love for cooking tasty dishes and entertaining. Other hobbies include singing, training at the gym and chasing medals at OCRs. Alex will be your friendly, energetic partner who will see your project through from beginning to end. Sara is a designer who loves working with people. She creates graphics, layouts and concepts based on your needs and wishes, and listens when you talk. Her skills are your skills, so put them to use (that’s the purpose of hiring a designer, isn’t it?). A Facebook ad (yes, they work!) led Sara to voice over, and since then she’s specialized in voiceover branding, graphics and website creation. 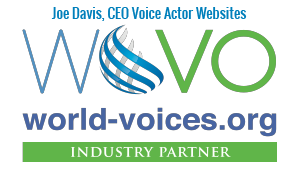 She has designed sites, brands and graphics for voice talents, groups and associations throughout the VO world. Sara has a B.A. in English and a Master’s in Instructional Design. She lives in the Pacific Northwest, where she writes, reads, studies and spends her time working with the people she loves. Mary joined our team after working for years at Google as a senior strategist for their digital advertising division. She is currently attending MIT as an MBA student. Aaron Seals is a designer who loves bringing people’s dreams to life. An alumnus of UCF, he has been designing since 2013. He is always looking to create lasting, impactful solutions through innovative problem solving. While he has a history of creating for both digital and printed medium, there is nothing he likes more than creating something tangible that enthralls and delights his clients. Design aside, Aaron wears many (stylish) hats. He is heavily involved with the Central Florida swing dance scene, travels on weekends for dance events, teaches dance locally, runs a business and works with Mickey Mouse. Danielle is a passionate researcher, teacher and academic. She has a PhD in Neuroscience and has a focus on neurodegenerative diseases. She is an experienced writer and enjoys helping voice actors craft their website content with scientific precision. Denise, a voice over talent, grew up in Bethesda, MD. She began her professional career as a Mortgage Banker and later transitioned to corporate recruiting working at Fannie Mae in Washington, DC. Leaving the corporate world behind, she found her joy as a Community Outreach Coordinator and later a Smooth Jazz Recording Artist personal assistant. Today she is living in sunny South FL and continues to give back to her community. Her claim to fame is once walking the ledges of the Waldorf Astoria and Conrad Hilton back in the 70’s—who knew? Denise also won the Presidential Physical Fitness Award for the girl’s softball throw. True story, her dad had her throw bricks in their back yard to build up her right arm. Andrew is still writing his bio! Dan Lenard is a voice actor, specializing in E-learning, corporate, and documentary narration. He also has become a recognized industry expert and consultant in home studio set–up and problem solving, specifically for voice over artists new to the industry, or experienced, but with little or no self-recording experience. Dan is also Co-Host of the popular weekly live webcast of Voice Over Audio Body Shop with George Whittham, which talks about home voice over studios, presents guests from the voice over industry and other industry news. He is also a Founding Board Member and Vice President of Technical Standards for World-Voices Organization, an industry association representing voice actors with home studios around the world. Eliot Stenzel is a Certified Public Accountant (CPA) and a Certified Internal Auditor (CIA). He holds an MBA in Accounting from the State University of New York at Buffalo. He has an independent practice and provides accounting, consulting, teaching, and tax services to the entertainment industry. Eliot works as a film and TV production accountant, has prepared and submitted claims to state authorities for incentive rebates, and recovered $1.7 million for clients in the last three years. He has also been to over 28 countries, and has been a teacher of accounting and audit related subjects worldwide. Eliot is also a member of SAG-AFTRA and has acted in 17 plays in the last 5 years and appeared in 8 films. He can assist in choice of entity decisions for clients. Eliot can show you how to adapt Quickbooks to film/TV budget and accounting. Luke began studying computer technology alongside of music composition and audio production studies. He understood early on that computer technology was going to be necessary to learn and would play an important role in everyone’s lives; especially with music. Today, in addition to working as a voice-over talent, Luke has composed music for various genres some of which included SyFy, Drama, and Suspense thrillers. Additionally, Luke works with up and coming artists, producers and directors in Atlanta and across GA and enjoys working with others who have a passion for film, TV, games, voice-over, technology and media. Even with all of the technology available, it is very important to compose and produce music that brings the listener into the music experience. Part of music composition today, is writing and producing music in a way that transports the listener into the scene of the film, TV show or game. In other words, if you close your eyes, you should feel like you are “there,” in the middle of the scene! Debby graduated magna com laude with a Masters of Humanities (English) from the University of Buffalo. She has experience across a variety of fields, such as writing for the technology world, creativity conferences, online marketing and editing grants and contracts for an inventor in speech and pattern recognition. Her passions include creativity, helping people find their voice and what they truly want to say, and taking something that someone has written and helping them making it ready to be read. Creativity and collaboration are the two words that embody Debby’s writing process. She crafts content that is easy to read, keyword rich and convincing to talent seekers and search engine algorithms. Let Debby help you with everything from bios to blog posts! With over 15 years of corporate marketing experience before dipping her toes into the VO waters, Dani brings both business smarts and marketing expertise to every audition, job and client interaction. After being laid off from her position as Director of Marketing for Seattle-based tech company, Dani dove head first into voice acting. She started on January 1, 2014 with a middle of the road microphone, a padded closet, a clear voice and story-telling ability…AND NO EARTHLY IDEA WHAT SHE WAS DOING. With the help of her two mentors, and the contacts they introduced her to, she was able to quickly grow her business. In 2014, she concentrated on training, used each audition as practice and built her client list from zero to 54 and booking 100 jobs in that first year. In 2015 and 2016, she continued training and expanding her reach. She cultivated and grew her business primarily through online casting sites, referrals and recurring clients – booking an additional 279 jobs, signing with agents from all areas of the country, adding new clients and nearly replacing her marketing salary. In addition to voice acting, Dani has a passion for helping new talent navigate the tricky ins and outs of the industry. She’s also developing a new app designed to help voice actors and other creatives track and manage their business. Melissa comes from a television and motion picture production and distribution background, working in NYC, Madrid, Cannes, Milan and Mexico City – which is where she did her first VO, around 30 years ago. Back home in NYC while working at a commercial production house she started doing more VO work – and that continued to grow as she took a side trip into radio reporting and anchoring traffic and news – for a while from a single engine 2 seater plane 500 feet above the NY metropolitan area, with doors held together with duct tape. Hey, who needs doors, anyway? She’s been a member of the union for more than 20 years – is now in her 11th year as a full-time VO – and much of the credit for that is due to her ability to marry the union and non-union VO worlds without downgrading to non-member (financial core) or working off the card. She’s helped union members learn how to access certain non-union work, without being in violation of union rules – and she’s helped non-union talent who hope to one day join the union, envision a path that will allow them to keep much of their current work when they do join. Melissa joined AFTRA in 1998, served on the AFTRA NY Local Board and the Broadcast Steering Committee, and was Taft Hartleyed into SAG before the merger. She now serves on the SAG-AFTRA National Voiceover Performers Committee. But all opinions and advice are her own.